Are you looking for Holiday Math activities for your students? 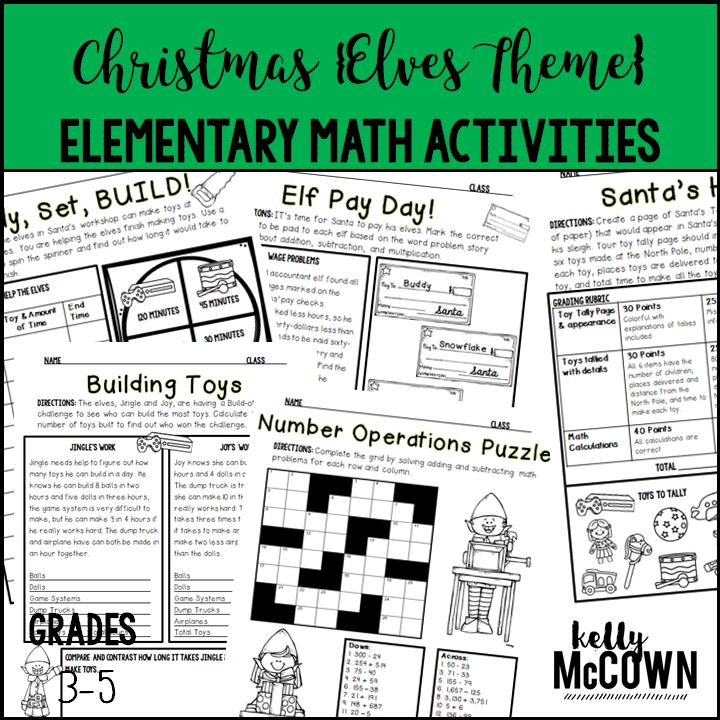 Do you need to engage your students in fun Math review with a holiday theme? This Christmas Elementary School Math Activities NO PREP packet that will keep your third, fourth, and fifth graders engaged! This packet is just plain fun. Not only is it PACKED with grade level common core math problems, it also gives students fun coloring, puzzles, and problem solving. Use this packet for bell work, classwork, extra credit, fast finishers, or homework. *Packed with 3rd, 4th, and 5th grade common core math problems for review and practice. Students love holiday activities and being engaged in fun puzzles. Making Math fun around the holidays is a great way to keep them actively involved in the learning process. Using real world problems like pay checks for wages and creating toy lists are great activities to hook students on practicing their math skills with problem solving.